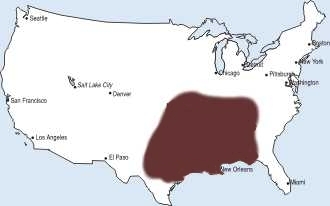 In terms of location, the Brown Recluse Spider is mainly found in the central Midwestern states southward to the Gulf of Mexico, especially in Oklahoma, Arkansas and Missouri. In a few cases, the BRS can be found in regions such as Kentucky and Ohio. Spiders are very easy to find in California, but most of them are not considered dangerous for us. However, it is possible to assure that they are beneficial, since they feed themselves on insects and other garden plagues. 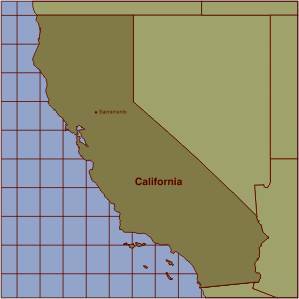 Generally, the bite of the California spiders does not cause any risk, just a slight pain in the bitten area. In addition to this, the bites of spiders are not as common as people tend to believe. The bites of ticks and fleas, like the bites of bugs and other insects, usually leave similar scars if we compare these cases to the spider bites, though in the last example we can indeed get an infection. The Brown Recluse Spider presence is rare outside endemic regions but nevertheless, over-reported cases are very common, especially in California. There are not many species of spiders in California that cause lethal bites. Among them we can name the black widow and the brown recluse spider. The black widow has a very toxic poison that affects the nervous system. Fortunately, the amount of poison this spider injects is small. Besides, it is a very elusive spider and, in general, it does not like living near human beings. The bite of the black widow can be treated and it is rarely mortal. The lonely brown recluse spider or "violin spider" (recluse loxosceles) is rarely found in California, yet it has been found in the south of this State. Nevertheless, a close relative, the Loxosceles deserta, lives at the base of mountains in the Sonora and Mojave deserts. It is a very elusive species that avoids contact with human beings, although sometimes we can find it in our homes, especially in dry and isolated places such us attics, closets, garages and places used to store objects during long periods. Other species is the Loxosceles laeta, a native of South America, which was first found in Los Angeles in 1969. However, its arrival is unknown. The bite of the brown recluse spider causes many types of reactions. The bites of the black widow and the brown recluse spiders are generally painless, what lead us to ignore them. In a few hours, the bite starts to hurt and the skin swells. The victim can also show nauseas and slight general pain. Just in a few cases the bite of a brown recluse spider can get infected and cause temperature or destroy the red corpuscles and, eventually, a surgery in the affected area must be needed. In the most serious cases caused by the bite of a black widow, some people can suffer from breathing problems and perspire. However, both bites have slight consequences and the symptoms decrease on their own in a few days. As explained in the LOCATION link, it is commonly seen how some species of this spider tend to spread by traveling inside boxes, packaging and furniture. For more information, follow the links on the context menu.